There are two primary sources of financial aid: The University and the Department of Health Promotion and Policy. In addition to graduate assistantships offered through the department, a limited number of fellowships are available through the School of Public Health and Health Sciences and through the Graduate School on a competitive basis. A limited number of scholarships and job opportunities that include tuition and fee waivers are available. The University also has information about applying for federal loans. For additional information regarding financial aid or funding opportunities available to graduate students, call 413-577-0555, or visit the UMass Amherst Financial Aid Services website. Graduate student Policies and Forms, as well as information on the Graduate Employee Organization (GEO), are available online. Graduate assistantship positions (i.e., Teaching Assistantships, Teaching Associateships, Research Assistantships, Project Assistantships, Intern Assistantships, Fellowships and Traineeships) are available in the Department of Health Promotion and Policy. Students in these positions generally work 10-20 hours per week and are paid according to the GEO standard rate. In addition, graduate assistantship positions include a benefit of tuition and fee waivers, including out-of-state tuition and health and childcare benefits. Preference is generally given to full-time students, i.e., those enrolled in 9 credits of coursework. Master’s students who are in their last semester of work and not enrolled in 9 credits; and doctoral students who are working on comprehensive exams but not enrolled in 9 credits, may be viewed as being equivalent to full-time students. Students are generally limited to one RA/TA position, including those in other departments, in order to give everyone a chance to have a position. In general, master’s students will be funded for a maximum of 2 years; doctoral students will be funded for a maximum of 5 years. As of fall 2016, students admitted to all graduate programs in School of Public Health and Health Sciences (SPHHS) are eligible to receive on-campus assistantships offered in departments within the SPHHS only; any exceptions to this policy must be approved by the SPHHS Dean. After matriculation, students may receive scholarships, fellowships, and other forms of on-campus employment within and outside the SPHHS. For additional information about financial aid services, please view the Financial Services website. Generally, graduate assistantship positions are announced towards the end of each semester for the following semester, although in some cases, new positions are announced during the semester. Positions are openly advertised on the SPPHS website, as well as the websites of the relevant academic program. Once positions are announced, applicants must complete an application form within the specified application period. Decisions on funding are made shortly after the close of the application period. Decisions for funding graduate assistantship positions are typically made by faculty in the respective academic programs. Decisions are based on the completed applications as well as posted requirements (such as SAS experience, course work, etc). Only applications for positions passing the screening are subsequently considered. Written notification will be given to all TA/RAs following the award decisions. Non-native English speaking students serving as Teaching Assistants must take and pass the English proficiency Test. 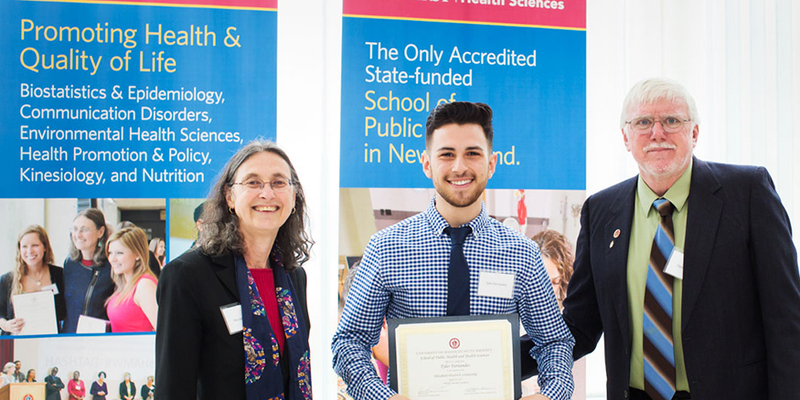 The Dean of the SPHHS will offer up to five Ph.D. non-working fellowships to nationally-competitive new graduate student applicants. The intent of this program is to facilitate the recruitment of top-quality doctoral students and not to support students currently in the SPHHS. Term of appointment: Each fellowship is for one year but may be renewed for a second year. Stipend: Each fellow will receive up to $10,000 per year from the Dean’s office. The recipient must maintain excellent academic standing, and apply for an externally-funded graduate student fellowship such as a National Science Foundation (NSF) Graduate Research Fellowship, the Ford Pre-doctoral Diversity Fellowship or other nationally-competitive fellowship appropriate to the student’s discipline. All funds received from the Dean’s office must be matched by either Departmental funds or faculty grant funds (up to $10,000 per year) and cannot be from faculty start-up funds. Additional funding beyond the combined $20,000 amount is encouraged, from additional faculty grant funding during the academic year or a summer stipend. More information is provided at the link below.